On Tuesday March 19, Travis Ranch Elementary School G.A.T.E. students visited Valencia High School’s International Baccalaureate and Val Tech Academy programs. 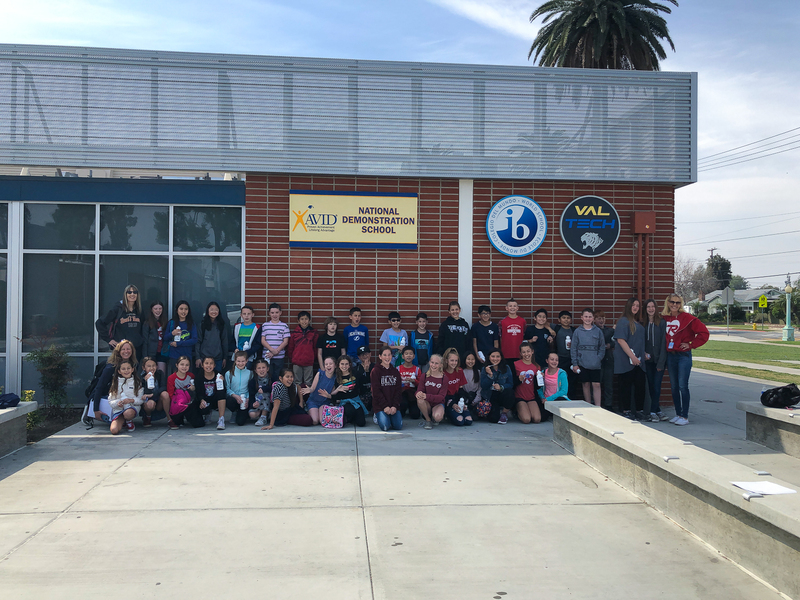 The 4th and 5th grade students were given a tour of 16 different classrooms across campus, exposing students to the wide range of courses and opportunities available at Valencia. They were not shy to ask the administrators, teachers, and students questions along the way. 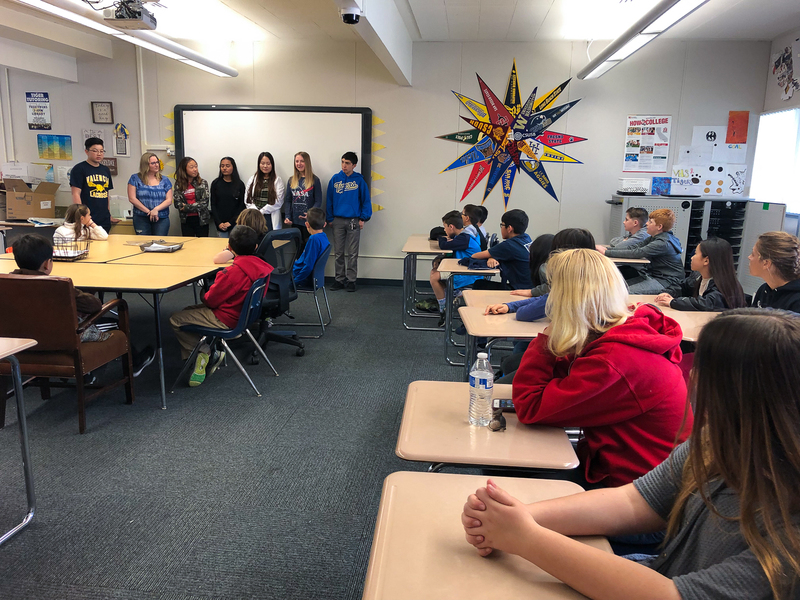 The nearly 40 students also had the opportunity to connect with a panel of high school students from ASB, Academy, Athletics, Val Tech, Performing Arts, and more during a student led panel at break. 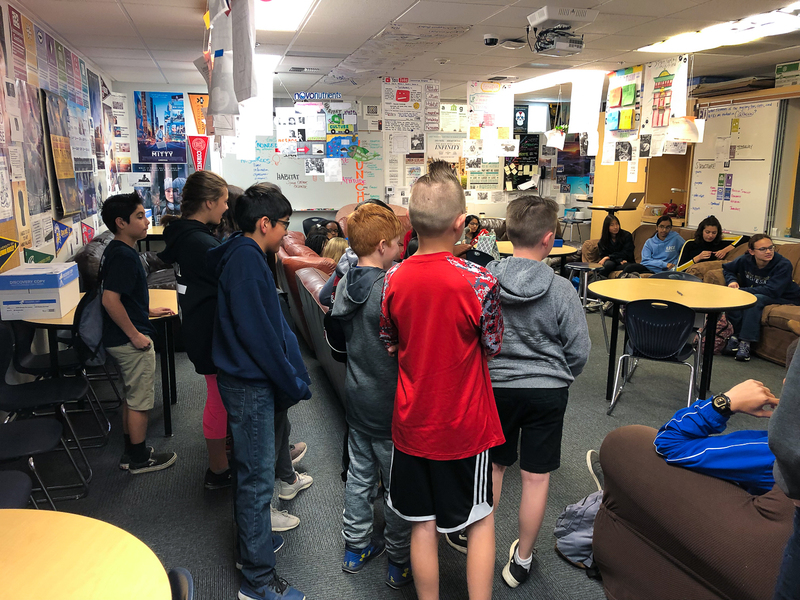 As the students prepared to depart, they had the opportunity to demonstrate what they learned during the tour as principal Olivia Yaung launched a speed round quiz where the Trailblazers were awarded Tiger gear before boarding the bus. 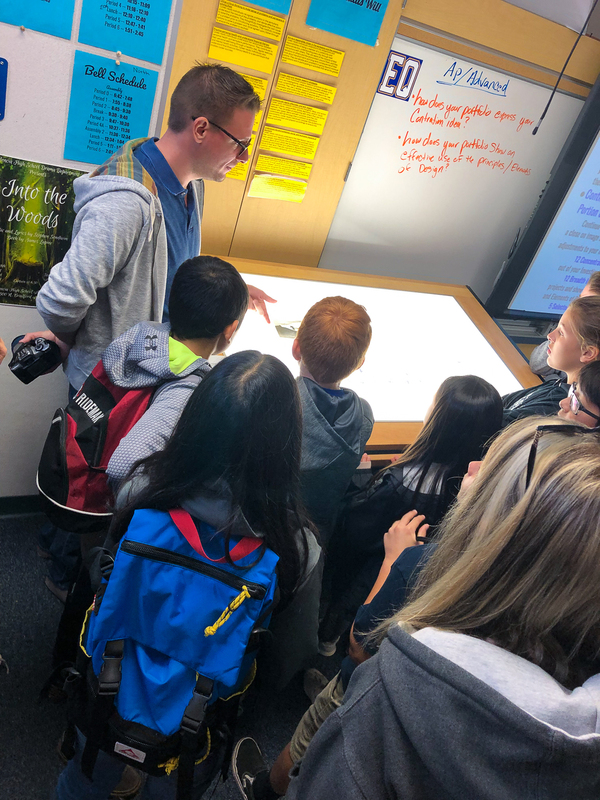 “We are grateful to Ms. Caderao, Mrs. Mullen, and parent Heather Siemmons for coordinating the tour for our potential future students,” shared Assistant Principal Michael Young. Be the first to comment on "Travis Ranch School G.A.T.E. visits Valencia High School"